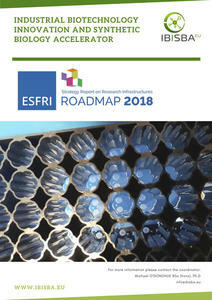 Since the 11th of September 2018 and the launch of the roadmap in Vienna (Austria), IBISBA in on the ESFRI Roadmap 2018. EU-IBISBA is an emerging ESFRI approved (2018), distributed European research and innovation infrastructure that will support industrial biotechnology and synthetic biology. In doing so, it aims to promote the transition to a circular bioeconomy in Europe. Led by France, the EU-IBISBA partnership is currently composed of research operators (RTOs, universities, etc) from 9 EU nine European member states. Their common ambition is to create an array of services that will enhance the operation of each partner's research facilities, offer researchers access to best-in-class research infrastructure and supply industry with a reliable intermediary for end-to-end bioprocess development. As EU-IBISBA moves towards its preparation phase (PP), the partnership remains open. Infrastructure operators across Europe are welcome to contact us for more information on how to become involved. Read the PDF below to learn more.